I was testing a 500mm lens to photograph the moon in daylight when I noticed an object flying past the moon. It had a red flashing light, so I thought it might be a UAV. I detached my camera (Nikon D800) from the tripod and tried to follow and photograph the object in the sky. It was high in the sky so I could not see well what it looked like and I thought I’d zoom later on the photos to see what it was. Overall, it was flying a straight path, but it sometimes stopped moving and then resumed moving. It’s when I looked at the pictures that I found out it did not look like a drone at all and the shape of the object was strange. It flew roughly from south/southeast to north/northwest. When it was too far away for me to photograph it, I gave up and as I noticed an actual plane in the sky. 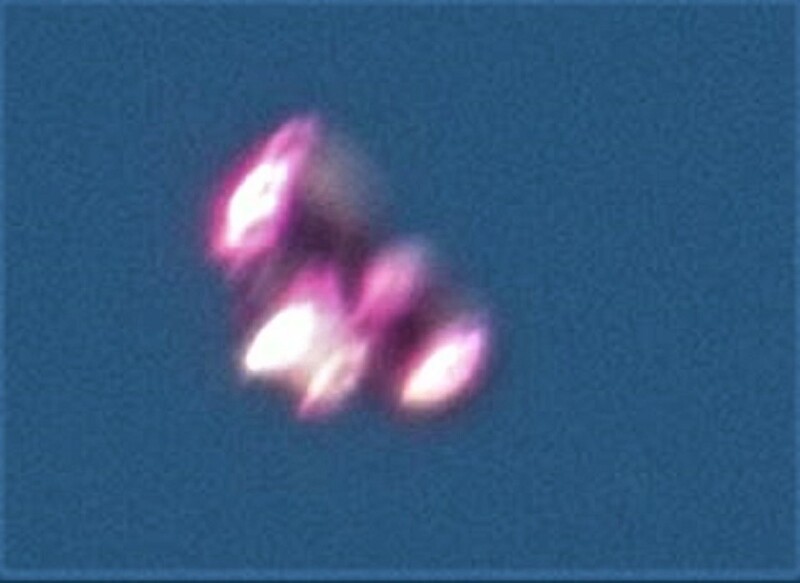 The fact that the UFO was flying downwind makes me thing it might be a helium balloon. However, the shape is weird and it does not explain the red light flashing at regular intervals that first got my attention on the object.